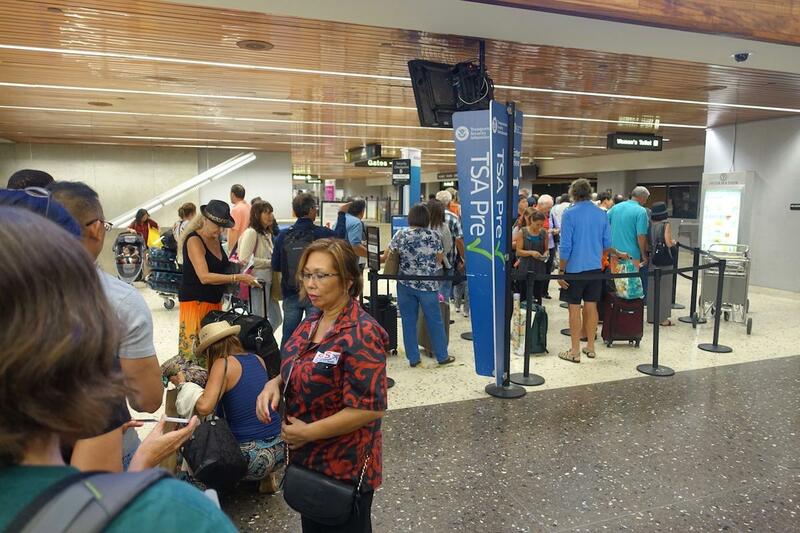 The Transportation Security Administration employs more than 800 people in Hawaii. All of the blue-shirted security officers who screen airline bags and passengers are considered essential employees and are working without pay. Several major airports on the mainland have been experiencing shortages of security officers as TSA employees opt to take sick leave, rather than work without pay. 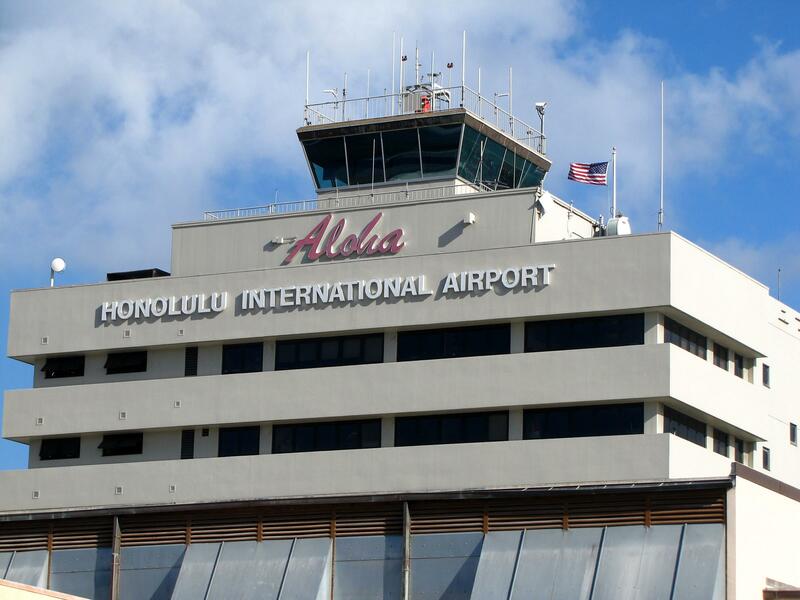 More than 600 TSA employees work at the Daniel K. Inouye International Airport in Honolulu. The so-called "blue flu" has not yet hit Hawaii, but local agents are already feeling the financial pinch. According to union representatives from the American Federation of Government Employees many TSA officers have already begun working second jobs to support themselves during the shutdown. That is in addition to their fulltime work for the federal government, which as of Friday will be uncompensated. Union leaders shared stories of pregnant women and adult caregivers who are already approaching the edge of their safety nets. One told HPR that he suspects some of his members will likely consider leaving the federal workforce altogether should the shutdown continue much longer. 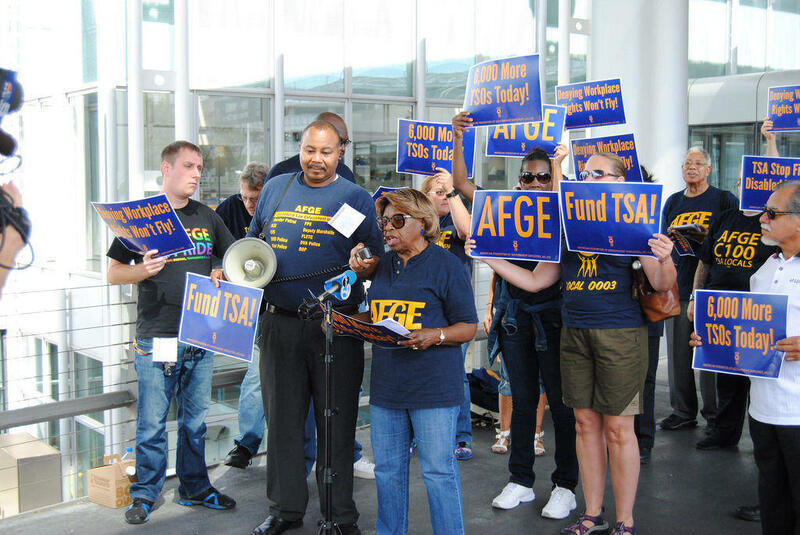 AFGE members protest at Chicago's O'Hare airport. O'Hare has been one of the airports afflicted with "blue-flu." The situation is not limited to TSA workers. Corrections officers and support staff with the federal Bureau of Prisons are also feeling squeezed. A representative for the AFGE Prisons Council, Dwayne Bautista, told HPR that prison officers have been taking approved leave since the shutdown began, but not necessarily because of the shutdown. The scheduling crunch has resulted in officers being repeatedly asked to work 16-hour shifts, sometimes multiple days in a row. Most employees at the Federal Detention Center in Honolulu have been deemed essential and are working without pay. The AFGE representatives all expressed hope that Congress would authorize backpay for essential workers once the government reopens, but it is not guaranteed. They are exploring whether furloughed and essential workers are eligible for unemployment benefits through the State of Hawaii. If that is possible, it would not likely be until the shutdown reaches the 30-day mark. If nothing changes, the shutdown will become the longest in American history on Saturday.